InfiniTV 6 PCIe is the most advanced internal cable TV tuner for the PC. With six tuners that require just one CableCARD™, InfiniTV 6 PCIe turns your desktop PC into a killer cable box and DVR. Never run out of tuners again when recording your favorite shows! If you want whole-home TV and DVR, simply pair your PC with one or more Ceton Echo media center extenders or an Xbox® 360 and enjoy live TV and DVR recordings on any TV set in any room. You can even start watching a show in one room, pause it and resume watching in another. Replace your expensive cable boxes and enjoy premium cable on TV sets throughout your home! With a Ceton InfiniTV your PC becomes that nirvana entertainment box you've always wanted. Have all your media -- TV, DVR, music, photos, videos and Internet media services -- available from one awesome device. Watch and/or record six live channels of standard-definition or high-definition TV simultaneously, including all your favorite premium and encrypted cable channels. When used with media center extenders like the Ceton Echo or Xbox 360™, a Ceton InfiniTV turns your Media Center PC into a whole-home entertainment device. Enjoy live TV and all your DVR recordings on any TV set. Insert InfiniTV 6 PCIe in your PC, follow the simple installation instructions, and in just a few minutes you’ll be enjoying an awesome multi-channel digital cable TV experience. 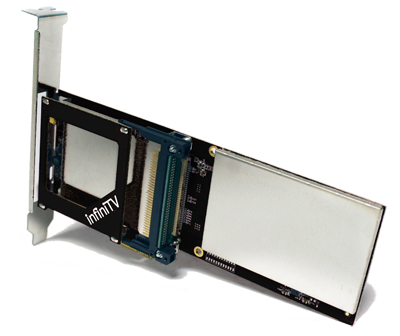 InfiniTV 6 PCIe supports CableCARD and connects to any U.S. cable system to receive all SD and HD digital cable channels without needing a set-top box. As cable providers move to Switched Digital Video (SDV) technology, rest assured that your Ceton InfiniTV 6 supports SDV Tuning Adapters just fine. 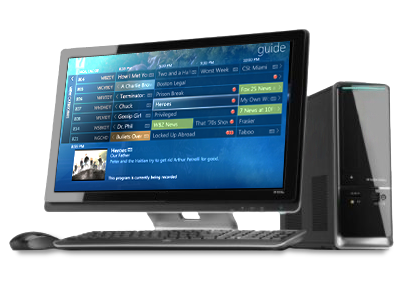 When using InfiniTV on your PC you can save hundreds of dollars a year by avoiding monthly cable box lease and DVR fees. A Tuning Adapter from your cable operator might be required if your cable TV provider uses Switched Digital Video technology. Please check with your cable operator.